Next week as you walk in to your gym, you'll be greeted with a seasonal flock tackling their New Year's resolution. Rest assured that as January and February progress, the crowds will abate and you'll be able to fit back in to that Body Pump or spin class much easier. In the meantime, I suggest expanding your routine outside for a change of pace (pun intended). 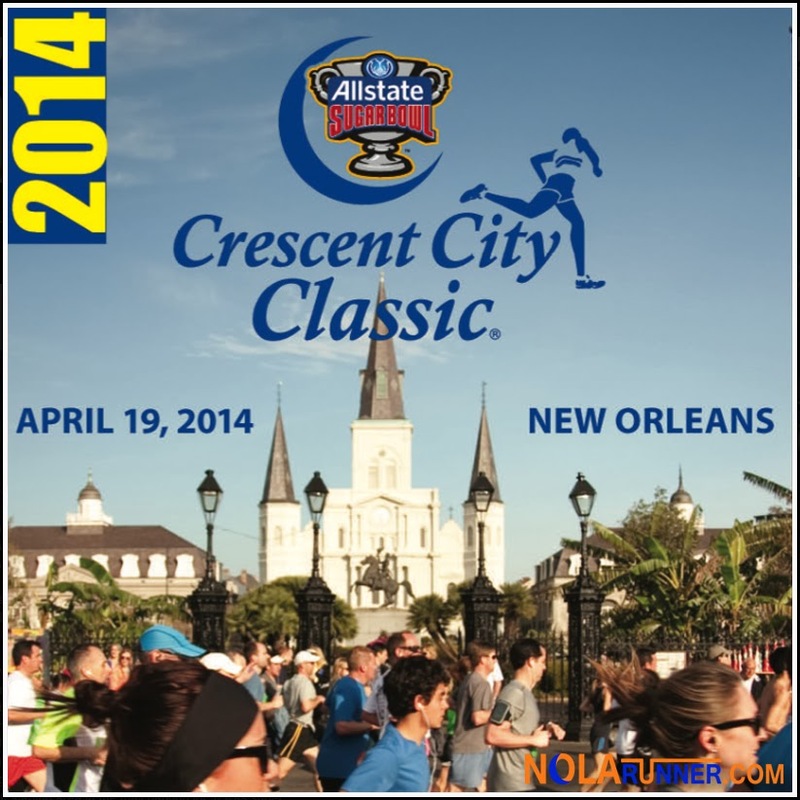 What better way to step up your game than to get your All State Sugar Bowl Crescent City Classic 10K training underway? We are officially four months away from the 2014 race on April 19th, and logging some miles in advance of Mardi Gras will cut off that King Cake weight before it starts to slow you down. The organizers who put together the CCC10K have published their annual training plan. The guide is prepared by Virginia “Gini" Davis, Physical Therapist of Crescent City Physical Therapy, and outlines suggested training for participants who are currently at various fitness stages. Anyone can get on board, from the couch potato to the runner chasing a new PR, but remember it is always wise to consult your physician before tackling any new physical activities. I'm going to throw this out there now, and say my goal for the 2014 CCC10K is a sub 47:00 10K. It's a lofty goal that I've come close to achieving in the past, but know I'm currently far from obtaining. I'll be using the speed workouts provided in the training plan to help get me there, and will update my progress as I blog between now and race day. Check out the FREE training guide by clicking HERE. It's a great asset for which many other races charge, so take advantage! A lofty goal is a good goal! Excited to see how your training goes. I know you definitely have a solid PR in reach. Thanks Katherine! We'll see how the training goes through the spring, and a revision may be in order. Hopefully that revision will mean that the number is going lower than 47:00!